Some Ghanaian celebrities including dancehall artiste Stonebwoy, rapper Sarkodie, Actress Benedicta Gafah and Bulldog have backed Menzgold Ghana following the company’s standoff with the Securities and Exchange Commission (SEC). 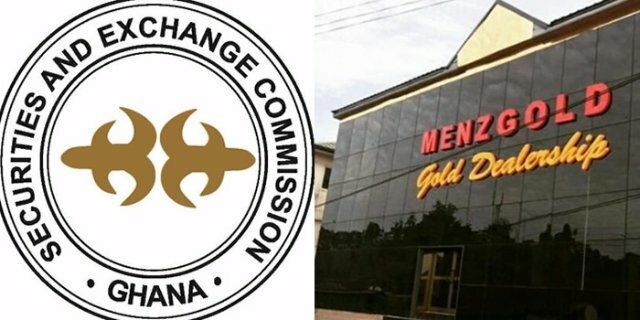 After the Securities and Exchange Commission (SEC) directed Gold trading firm Menzgold to shut down its operations, a number of personalities have publicly declared their support for the company and its owner. The latest to join that list of personalities supporting Nana Appiah Mensah is rapper Sarkodie, who is a known friend of NAM1 has vouched for his credibility. Taking to his twitter, the “Can’t Let You Go” hit-maker stated he believes NAM1 genuinely cares about the country and even though he doesn’t know the ins and outs of the saga, he thinks “the Nam1 mission is for a better Ghana”. Zylofon Media signed actress Benedicta Gafah in a video assured all customers of Menzgold to calm down because all their gold trades are very safe and business is proceeding as usual. Artiste manager at Zylofon Media, Bulldog, is of the the view that NPP is being destructive towards the NAM1 vision. In a live feed posted on his Facebook wall, Bulldog believes the Zylofon CEO means well. Although these celebrities try to calm people with their post and a statement from the company insisted their “Open For Business” scores of people trading with Menzgold trooped into their premises to redraw their investments.